The Premier League and many of Europe's top leagues have just played their final fixtures of the season. Should you turn off the matched betting calculator and head to the beach for the next 10 weeks till the football season resumes in August? Definitely not! Well at the very least, if you head to the beach, bring your laptop or phone with you as there is still plenty of profit risk free to be made! If you are completing Welcome Offers then just keep completing these offers, there is plenty of popular sport over the summer and I'll be posting in the Selections as normal! Horse Racing is in action every single day throughout the summer, so there's plenty to be getting on! The best day of the week is Saturday between 1.30pm to 4.30pm when the racing is televised on ITV, as most bookies have better offers for races being shown on TV. There are however some mid-week ITV races with festivals such as Royal Ascot and Glorious Goodwood. These festivals can be extremely lucrative as it's essentially a Saturday every single day! The majority of your profit will come from Racing Refund offers, however William Hill's 2 Clear promotion has proved to be a huge earner recently. There's also Extra Places which tend to be a huge earner over the festivals as your winnings are technically unlimited. For this I'd highly recommend signing up to Oddsmonkey as they have an Extra Places matcher and a Horse Racing matcher. The World Cup runs from Thursday 14th June to Sunday 15th July. This is the biggest football tournament in the world and you can expect it to be huge for offers. Even though the football season has finished, this is one whole month of football, so it'll feel like football never even left! Over the past football season (17/18) there has been some extremely high value offers such as Bet365/Paddypower's 2up, and William Hill's 4 means more. Coral have also had the occasional Win Win Get In, and we are expecting some of these promotions to make a return for the tournament. Ok so the Premier Leauge has finished and the World Cup runs through June to July... but how do you fill in the gaps?! 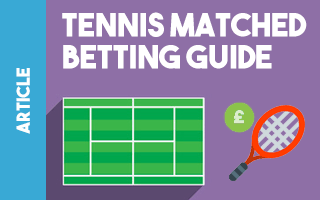 Just be careful to make sure you are using the correct bookmakers when placing your Tennis bets. This is because the retirement rules are different for each site, and so whilst you can lay bets at the exchange for some sites, you can not for others. You will need to dutch some bets with other bookmakers that have the same retirement rules. Check out the guide for more info. Despite football and tennis being the main events over the summer, there are still other sports that the bookmakers will have some very good promotions on. As you know from The Masters back in April, the bookies love a golf offer or two and they can be extremely profitable. There's 2 more big golf tournaments over the next few months that will hopefully be very profitable. Alongside golf there's plenty of American sports such as the NBA (basketball) and Ice Hockey finals which won't be huge, but there will still be some offers from the smaller bookies that can make you a few quid from. And of course in July there's the Tour de France. This is the most prestigious bike race and lasts for most of the month. The offers aren't generally great as not many websites run promotions for it, however there will be some promotions worth doing so it's definitely worth keeping an eye out for. Don't be put off by Bingo and Casino offers just because they are not Sports! There is plenty of profit to be made from them so long as you are willing to accept a small level of risk. This is because you cannot lay off your bets in the same way as Sports. There are Bingo & Casino Welcome Offers, most notably the Bingo DragonFish Offers that are particularly popular in the Facebook Group. Plus there are existing customer offers almost every day in the OddsMonkey Daily Offers Calendar. 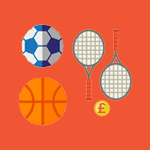 The best thing about these types of offers is that they can be done at almost any time, so if you're having a quiet day of sport trying to fill in the gaps between the major events, then why not hit up a casino or bingo site? Cashback offers through TopCashback and Quidco are an absolute gold mine. People are put off as it seems a lot of effort, but if you've been following Tom's Lunchtime Profits you will have noticed a large increase in these being posted. That's because they are such good value, and take very little time to complete at all! You could power through all of the TopCashback offers in as little as 2 hours or so, and make yourself at least £300! Most of the TopCashback/Quidco offers are Casino and Bingo related and so do come with an element of risk, however the majority of them are paying more cashback than you initially deposit making them Risk Free!!! Check out the guide on how to complete these offers, it's just as good (if not better) than when you were doing the sign up offers! There are over 30 Welcome Offers on the Team Profit website, and over 20 more on Oddsmonkey. Have you completed all of them? Are there any you've skipped? If you've not finished all of the sign up offers then now's your chance as there's plenty of risk free profit available! It's very easy to get lazy when you start completing reload offers but by completing the rest of the sign ups you are getting more profit, and preparing more accounts for when the football season starts again! So go and revisit the Welcome Offers guide, and if you haven't already yet then sign up to Oddsmonkey for just £1 for 7 days - it's well worth it and you'll make that money back in just one offer! The bookmakers all have their weekly bet clubs running over the summer. With there being less football between July and August you may find it harder to get matches, however you can always check out the selections blog post. The Free Bet clubs are worth just over £50 weekly for little effort. There are actually far more listed on Oddsmonkey however some of them are far more advanced and require the tools that Oddsmonkey have to complete them. Feel free to post in the Facebook group if you're having trouble with one of the clubs or not sure what to bet on as people will generally help out! 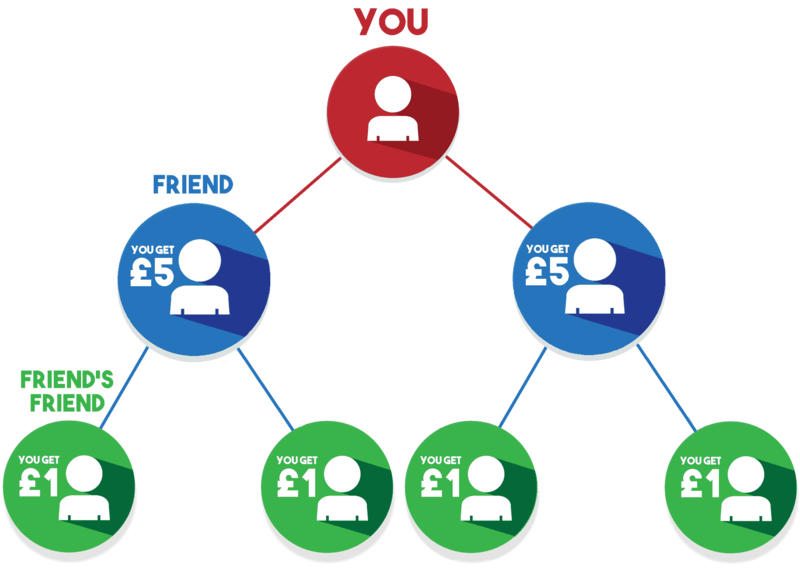 It'll be free drinks from your friends if you introduce them to matched betting! Stingey friends? Not to worry, I'll give you £10 cash for every friend who starts matched betting with Team Profit! All you need is your refer a friend link, simply ask me on Live Help (or leave a message if I'm offline) asking for a refer a friend link and I'll send your refer a friend link right away. For more details please see the Refer Your Friends article. The Team Profit Facebook Group now has almost 6,000 members! There are regular tips posted that will help you make more profit from your offers. Plus the OddsMonkey Community is incredibly helpful, I use it pretty much every day to find out about new offers and learn new tricks from very experienced matched betters. I am 99% certain if you don't currently use both of these communities, you will make more profit this summer by joining them! 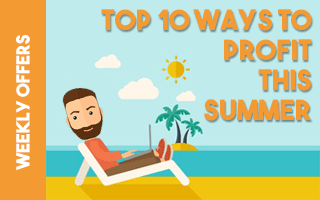 I hope this article has shed some light on how to make money over the summer. Most people think it's a "quiet" period, but in reality it isn't as there's still plenty to be getting on with!